"A superior [book]. . . . the meaning and implications of justice in Islam, Christianity, and Judaism are analyzed and compared. . . . [It] gives particular emphasis to the institutional context of justice and gender equality in the social, economic, and political arenas in Muslim countries." --Baha Abu-Laban, University of AlbertaIslam today counts one billion people as adherents or believers. Its teachings produced a civilization that has flourished for fourteen centuries. Islamic identity exerts a potent force around the globe, though Muslims are often stigmatized by Westerners as a religious threat. Presenting the Islamic concept of justice, this book is an introduction to contemporary Islamic thought and practice, offering a catalyst for dialogue and understanding.ContentsPart I. Justice: The Ideals1. Islam's Origin and Ideals, by Fazlur Rahman2. The Islamic Concept of Justice, by Mahmoud Ayoub3. Comparative Views of Justice The Concept of Justice in Judaism, by Laurence Edwards A Christian Understanding of Justice: Reflections for an Interfaith Discussion, by Byron Lee Haines Justice in Islam, Judaism, and Christianity: A Comparison, by Charles Adams Connecting the Ideals to Practice, by Nimat Hafez Barazangi, M. Raquibuz Zaman, and Omar AfzalPart II. Justice: The Reality4. Economic Justice in Islam, Ideals and Reality: The Cases of Malaysia, Pakistan, and Saudi Arabia, by M. Raquibuz Zaman5. The Islamic Call: Social Justice and Political Realism, by Tamara Sonn6. Vicegerency and Gender Justice in Islam, by Nimat Hafez Barazangi7. The Nuclear Option and International Justice: Islamic Perspectives, by Ali A. MazruiNimat Hafez Barazangi is Visiting Fellow in the Women's Studies Program at Cornell University. M. Raquibuz Zaman is Charles Dana Professor of Finance and International Business and chair of that department at Ithaca College. Omar Afzal is the Southeast Asia assistant at Cornell University Libraries. 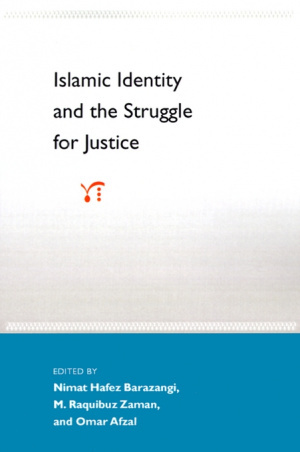 Islamic Identity and the Struggle for Justice was published by University Press of Florida in January 1996. 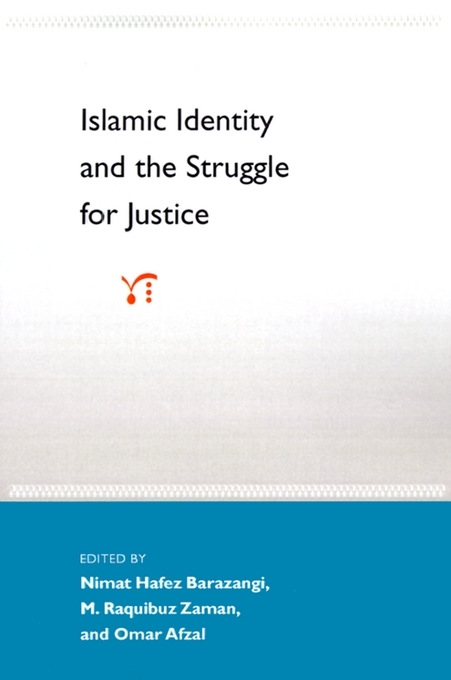 The ISBN for Islamic Identity and the Struggle for Justice is 9780813018621. Be the first to review Islamic Identity and the Struggle for Justice! Got a question? No problem! Just click here to ask us about Islamic Identity and the Struggle for Justice.